Mumbai, Nov 21, 2018: Nearly 50 per cent of the Automated Teller Machines (ATMs) may be shut down by March 2019 due to unviability of operations, hitting hard both urban and rural population, the Confederation of ATM Industry (CATMi) warned on Wednesday. 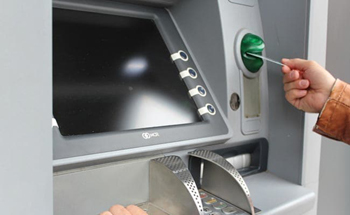 Currently, India has approximately 2,38,000 ATMs, of which around 1,13,000 ATMs including 1,00,000 off-site and more than 15,000 white label ATMs are expected to down their shutters, said a CATMi spokesperson. "This would severely impact millions of beneficiaries under the Pradhan Mantri Jan Dhan Yojana who withdraw subsidies in the form of cash through ATMs, besides urban centres, resulting in snaky queues and chaos akin to post-demonetisation," said the spokesperson. He said the CATMi step is forced on account of recent regulatory guidelines for ATMs hardware and software upgrades, recent mandates on cash management standards and the Cassette Swap method of loading cash. The measure will also result in huge job losses in the industry that would be detrimental to financial services in the economy as a whole.